This week the guys chat about Roberto Osuna’s openness while suffering from anxiety and re-cap the Jays’ seven game roadtrip. This week the guys debate Jose Bautista’s trade value, there’s praise for Dwight Smith Jr, and call off the search party because Grilled Cheese is back. This week the guys are joined by the legendary Jerry Howarth. There’s praise for monster weeks by Justin Smoak and Roberto Osuna…and whatever happened to Jason Grilli? 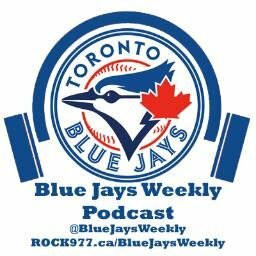 This week the boys talk about the Jays’ great homestand, Jason Grilli’s meltdown and Roberto Osuna’s 4-save week.